Crown Tree Surgeons ltd removing a sycamore tree with a winch. 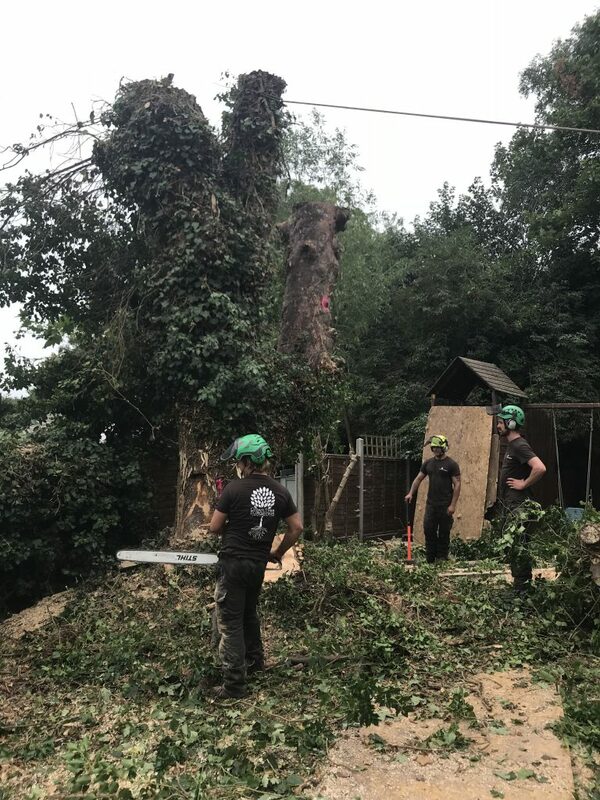 Tree surgeons at work felling a ivy infested sycamore tree in Chislehurst kent. Section removal of the crown of the tree before felling the remaining trunk. tree was removed to allow for a new fence and replanting. This entry was posted in Blog on 23/09/2018 by Crown Tree Surgeons.